“The Spirit of the Lord is upon me, because he has anointed me to bring glad tidings to the poor. He has sent me to proclaim liberty to captives and recovery of sight to the blind, to let the oppressed go free, and to proclaim a year acceptable to the Lord.” (Luke 4: 18 - 19). Jesus Christ launched His campaign for the Kingdom of God appropriately in His native town, Nazareth. 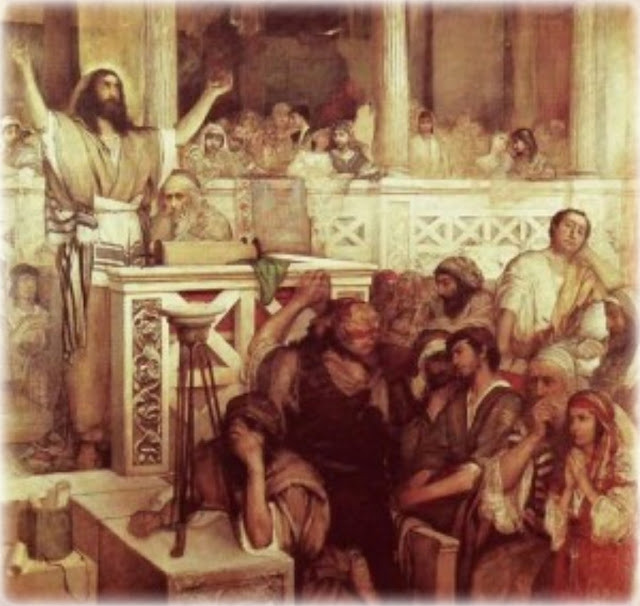 Everyone in the synagogue including you and me thought they heard this manifesto (Luke 4: 18) somewhere, sometime. Jesus is quoting from a familiar passage of Isaiah 61 about the Messiah and His mission. The manner in which He read the passage and concluding words: “Today this scripture passage is fulfilled in your hearing.” (Luke 4: 21) startled everyone in the synagogue. What does this living word of God mean for you and for me today? We too have been chosen, called and anointed by the Holy Spirit. Anointed for what? Anointed to accomplish a purpose in life with the power of the Holy Spirit. Faced with this answer, Paul says "I will rather boast most gladly of my weaknesses, in order that the power of Christ may dwell with me. Therefore, I am content with weaknesses, insults, hardships, persecutions, and constraints, for the sake of Christ; for when I am weak, then I am strong." (2 Corinthians 12: 9 - 10). Do you trust Jesus or do you prefer to trust your own understanding? (Proverbs 3: 5 - 6).